Pastor Dave is GREAT and we plan to use him again at our next ceremony. He was patient and talked us thru our options an didn't try to upsell us at all. Highly experienced and recommended. 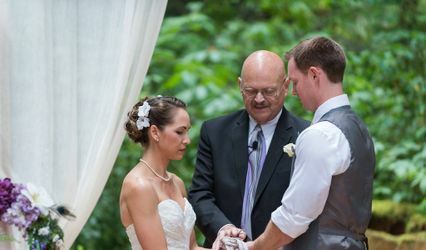 Choosing an officiant last year, my wife and I had a few requirements. We knew we wanted a nondenominational wedding. We also knew we wanted a ceremony that was memorable and unique -- a ceremony customized to us and our story. Beyond that, we just wanted an officiant with a great personality. We got all that and more with Pastor Dave! Pastor Dave spent hours with us (including 2+ hours in person at his Lake City office), getting to know us, learning our history as a couple, and hearing about our cat and our travel adventures. He then skilfully wove it all together into a wonderful ceremony that struck all the right notes and was by turns sweet, funny, and poignant. We loved it. Afterwards we got so many compliments on the ceremony, which says a lot too. 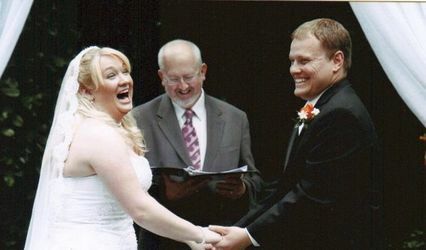 We know our guests will remember our wedding as fondly as we do -- thanks, Pastor Dave!